If you are a sole trader, you are probably looking to keep your overheads down to help balance your books and one way of doing this is minimising the amount you pay for your business account. This guide gives you the details for the best deals for sole trader business bank accounts from the leading banks through to the lesser known providers. Some of the features and benefits of Cashplus‘ sole trader business bank account. Cashplus has simplified their banking to make banking with them simple. Cashplus charge an annual account fee of £69 per year which is £5.75 per month which is similar to other bank account fees. Some of Cashplus’ transactions are free such as UK purchases, direct debits, bank transfers and the first 3 electronic payments and transfers are free then 99p each. Cashplus make setting up an account with them easily through a quick and simple online application which if successful will give you a bank account straight away. Cashplus is dedicated in supporting smaller businesses and have tailored their bank account to support them and access their account 24/7 wherever they are. The table below gives a quick price comparison of the top UK sole trader business bank account providers. Some of the features and benefits of Lloyds Bank’s sole trader business bank account. 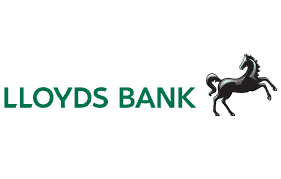 Lloyds Bank categorises their business accounts according to the turnover of the business and tailors their offering towards those businesses. Sole traders are eligible within the category of businesses with up to £3 million turnover. Their small business account suits businesses that operate through electronic payments, cheques and cash withdrawals/deposits as there are no charges for these transactions on the account. New businesses can also benefit from 18 months free 18 day-to-day banking. Some of the features and benefits of Metro Bank’s sole trader business bank account. Metro Bank operates different with stores opening 7 days a week, 8am to 8pm on weekdays. Phone banking is available 24/7 and is based in the UK. Customers can also access their accounts through a mobile app and online banking. Metro Bank’s business bank account is designed to support SMEs including sole traders. To be eligible for this account your business must have an annual turnover of under £2 million. The account has no account maintenance fee if the balance stays over £5,000, this includes 50 free transactions per month which includes electronic payments, cash deposits and withdraws. If the balance is under £5,000 then a £5 monthly fee will be applied. Some of the features and benefits of Bank of Scotland’s sole trader business bank account. Royal Bank of Scotland has designed their business bank accounts to cater for different sizes of businesses from sole traders to SMEs with an annual turnover of up to £3 million. They also offer accounts for new businesses that are only starting to trade. New business start-ups can benefit from 18 months free day-to-day business banking and new customers can also benefit with 6 months free day-to-day business banking. At the end of the free period an account maintenance fee will apply which is £6.50 but electronic payments, cash withdraws from cash machines and paying by debit card remains free. If you are a Scottish business they are committed to helping you grow and develop which they do through providing support from their teams, online and through their business mentoring programme. Some of the features and benefits of Barclays’ sole trader business bank account. Barclays offer established businesses including sole traders two business current bank accounts that cater for different types of business needs. The Mixed Payment Plan account caters for businesses that use cash, cheques and other non-electronic transactions to make and receive payments. e-Payment Plan account caters for businesses that make and receive electronic payments predominantly through online banking and debit cards. Barclays also reward their customers with a monthly loyalty reward that pays back a proportion of the bank charges. The amount you receive back depends on the length of time you have banked with them. Some of the features and benefits of Yorkshire Bank’s sole trader business bank account. As a sole trader, you have a choice of two business current accounts with Yorkshire Bank. They reward those that switch to them with 25 months free day-to-day business banking on the Business Current Account. New start-up businesses can also benefit from the free 25 months free day-to-day banking. At the end of the free period, the monthly account maintenance is £5. Alternatively, their other business bank account is the Business Choice Account which has base rate linked credit interest. Yorkshire Bank also offers a range of business support tools and guidance to help its business customers develop and grow their businesses. Some of the features and benefits of HSBC’s sole trader business bank account. HSBC does not have a separate sole trader bank account but its small business bank accounts are available for sole traders as long as the turnover is below £2 million per year. If you are a new business start-up you can benefit from 18 months free day-to-day business banking. If you are an existing business, you can switch to HSBC and benefit from 12 months free day-to-day business banking. At the end of the free banking period, you can benefit from 12 months fixed banking tariff with no transactions fee. HSBC is supportive of small businesses and offers a range of business support tools and guides to help businesses to grow and develop. Their Knowledge Centre, Business Specialists and financial support are available to help businesses. Some of the features and benefits of TSB’s sole trader business bank account. TSB offers an attractive free day-to-day banking period to new customers and new business start-ups that remain within the account limits and do not go overdrawn without prior agreement. Sole traders with a turnover below £125,000 can open their account in any local branch. TSB’s current account banking services offer flexibility for sole traders who may not manage to get to branches during normal business hours through their 24/7 internet banking facility and over the phone support. TSB also run a free daily text alert service that enables you to have alerts texted to you with your account balance. Some of the features and benefits of Santander’s sole trader business bank account. Member of the Current Account Switch Service and backed by the Current Account Switch Guarantee. Santander’s Business Current Account is available for a variety of businesses including sole traders and it offers day-to-day standard banking as part of its monthly tariff. The account fee varies only due to the amount of cash you select to deposit for free. The account fee varies from £7.50-40 and the cash deposit amount varies from £1,000-10,000. Santander has been awarded the Best Business Current Account Provider by Moneyfacts for the last 16 years. Their business account can be accessed through a variety of means that give customers the flexibility of banking when they need through digital tools and Post Office branches. Some of the features and benefits of NatWest’s sole trader business bank account. NatWest has designed their small business current account to help smaller businesses and sole traders to do business easily with access to their account from wherever they are. NatWest has created a servicing hub to help their customers to get instant access to their business accounts and any other financial services provided by NatWest in one place. NatWest also gives their customers access to their account online, over the phone and through their award-winning mobile banking app. Customers can also set up alerts that can be sent to them by text or email. NatWest also gives their customers free access to their FreeAgent business accounting software. Some of the features and benefits of Royal Bank of Scotland’s sole trader business bank account. Royal Bank of Scotland has created a business bank account that caters for smaller businesses from small independent sole traders through to those with an operating turnover of up to £2 million per year. Royal Bank of Scotland aims to help its smaller customers by giving them access to their account at any time and place to keep them on top of their finances. They do this making their accounts accessible through online banking, telephone banking, mobile banking app, and through offering alerts via text and email. And to make managing your finances easier they give their customers access to the FreeAgent accounting software at no charge. Some of the features and benefits of Ulster Bank’s sole trader business bank account. Ulster Bank has a small business bank account that caters for sole traders and small businesses with an operating turnover of up to £2 million. Ulster Bank is a dedicated bank for Northern Ireland, so all business customers must reside in Northern Ireland. Ulster Bank understands that small businesses need to focus on their work and that taking time out for banking is not easy. To help Ulster Bank allow new customers to apply online and give them access to their account 24/7. Switching accounts to them is easy as they are part of the Current Account Switch Service which guarantees a switch within 7 working days. Some of the features and benefits of Cooperative Bank’s sole trader business bank account. Cooperative Bank overs a few business bank accounts suitable for sole traders which included a free day-to-day business banking offer for new customers, a bank account designed only for the Federation of Small Businesses (FSB), and three business tariffs to choose from. The Federation of Small Businesses account offers better rates and more inclusive free transactions than their other bank accounts. They also give these customers a loyalty bonus each year of £25 if the account is still active. Cooperative Bank offers flexible banking service with the ability to make transactions in local Post Office branches which are often essential for smaller businesses who deal with cash and cheques but struggle to get to the high street banks. Some of the features and benefits of Clydesdale Bank’s sole trader business bank account. Clydesdale banking offers an attractive and long free banking period of 25 months which is one of the longest on the market which is available to both new customers and new business start-ups. 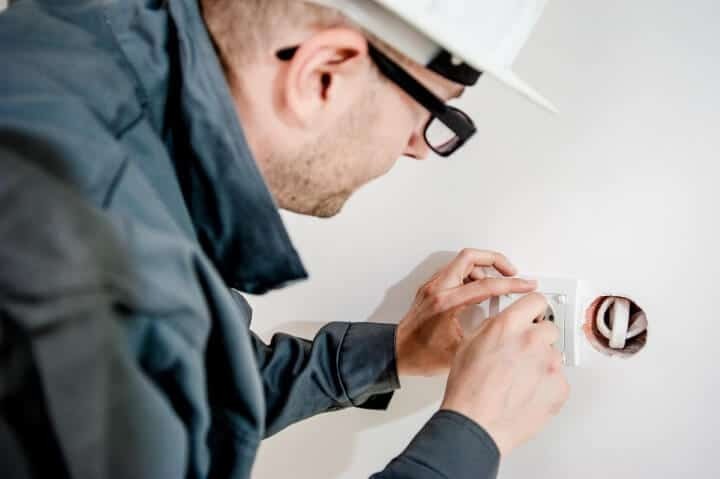 Switching to them is made easy due to them being part of the Current Account Switch Service which guarantees that the switch will take place within 7 working days. They have made the account easy to manage with internet banking and a mobile app to help businesses to bank at times convenient for them and to enable them to stay on top of their finances. 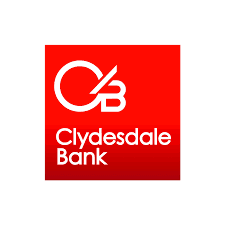 Clydesdale Bank also offers a direct contact that understands your business sector and gives you access to specialist tools and guidance. Some of the features and benefits of Bank of Ireland’s sole trader business bank account. Bank of Ireland offers business banking services to customers who are based in Ireland which they have a long history of supporting. Bank of Ireland has tried to make switching your account to them simple and pain-free by setting it out in 6 simple steps and having business advisers available in every branch to help you. Sole traders are able to apply for their account online. Bank of Ireland offers a simple bank account pricing structure with a quarterly account maintenance fee and transaction fees that encourage the use of online banking and smart payment methods as these carry lower transaction fees. Some of the features and benefits of Tide’s sole trader business bank account. Tide is a member-based bank account service and as a member, you get benefits for working with other members as there are no transaction fees between Tide accounts. You are eligible for a Tide Sole Trader bank account if you are a UK based sole trader or freelancer with a valid UK residential address and you are registered with the HMRC. Tide aims to reduce the amount of time small businesses spend on their banking, so they can focus on their business. Tide does not offer their accounts to high-risk industries such as those that deal with the trading of volatile priced goods, unlicensed services or products, money services or gambling. Financial Disclosure: We may be paid a fee if you open a bank account with Cashplus via the link above or if visit Know Your Money via a link at the top of the page.